And now presenting... our new studio! whoohoo! 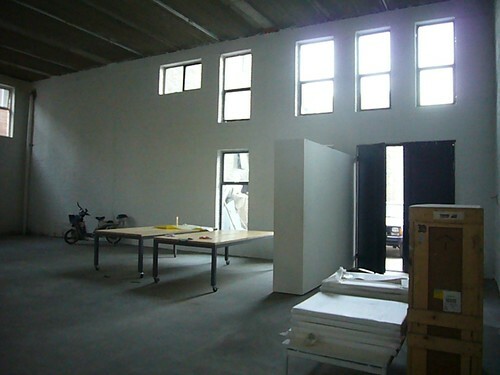 wang wei and i are slowly moving into our new workspace in Chaochangdi, in the north of Beijing. the whole area is sort of turning into the next "hip" art district which i have mixed feelings about, but i alone can't stop "progress", so we march on. we've got 150 sq.m of internet-free fun. why internet free? we figured we'd get more done without the distraction of the rest of the world. more posts to come about studio warmings, mini-exhibitions, and other yet to be defined studio related... things.